Ruby Red Shoes Book In her first book, Ruby Red Shoes, Ruby introduces us to her grandmother and allows us to take a peek inside the special world they share.... Ruby Red Shoes is a very aware white hare. 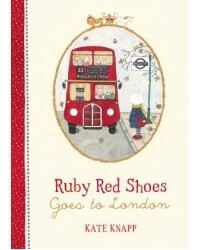 She is a white hare who lives in a pret..
Ruby Red Shoes Goes to London Ruby positively loves to travel. She’s quite a jet-setter. This time, she’s off to London. Maybe she’ll meet the Queen? Maybe they’ll take tea? We do know Ruby loves riding on London’s double-decker buses. 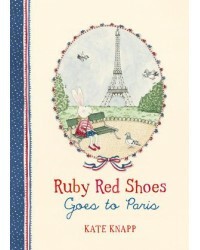 Kate Knap..
Ruby Red Shoes Goes to Paris Ruby and her grandmother Babushka are off to Paris for a holiday! When they arrive they go and meet Babushka's brother, Monsieur Gaspar Galushka, who loves hats as much as Ruby loves red shoes. 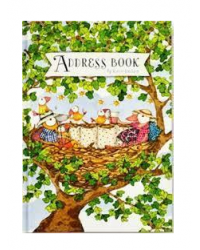 And with Monsieur is h..
Twigseeds Address Book This beautiful keepsake address book features inspirational quotations and adorable art by Australian Artist Kate Knapp. 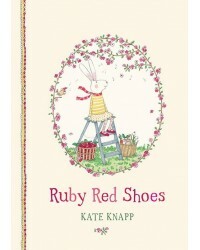 ​• ​ Designed by Twigseed Studios • ​ Illustrated by Kate Knapp • ​ Hard cover format, 148 x 190.. 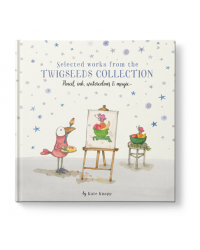 Selected works from the TWIGSEEDS COLLECTION - Pencil, Ink, Watercolour & Magic A wonderful collection of original art, merged with the most popular classics by Australian artist, Kate Knapp. The beautifully crafted Pencil, Ink, ..